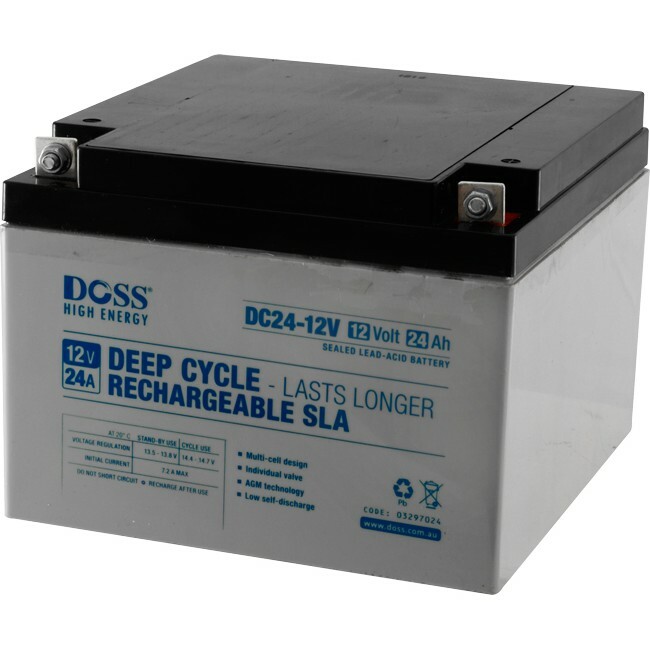 Deep Cycle Sealed Lead-Acid battery – lasts longer than normal SLA battery. A deep-cycle lead-acid battery is designed to deliver a consistent voltage as the battery discharges. In contrast, starter batteries (e.g. most automotive batteries) are designed to deliver sporadic current spikes. Battery-driven vehicles, such as golf carts, forklifts and floor sweepers commonly use deep-cycle-batteries. While a deep-cycle battery can be used as a starting battery (and may work better than a traditional starting battery with the myriad of electronic components attached to most modern vehicles). Deep cycle batteries can be charged with a lower current than regular batteries.